New Standard in Crossover Comfort For 4 Any Task. Any Trail. The GENERAL™ 4 1000 EPS delivers all the power and versatility of the GENERAL family, plus 4 seats to bring your friends and family along for the ride. 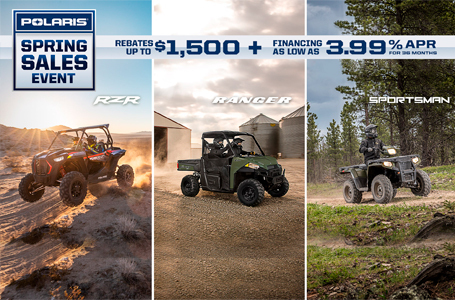 With the hard-working heart of a RANGER® and the performance of a RZR®, you'll have all the class-leading power and rugged features you need to share the thrill of off-road adventure. 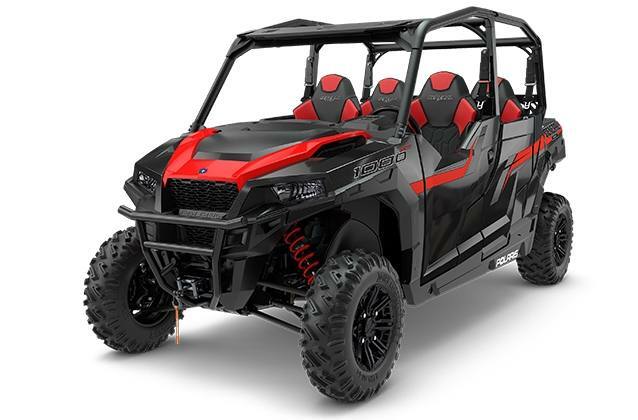 The GENERAL 4 1000 EPS is the most powerful rec/utility vehicle ever built, delivering all the power you need for a day dominating the trails, working on your property, or sharing the off-road with friends and family. NEW! Fox Podium 2.0 QS3 Shocks with 3 point adjustability. The GENERAL 4 1000 EPS offers power, versatility, and comfort for 4 riders to dominate the trails and tackle the toughest jobs. 4,500 lb. HD Polaris winch. Integrated half doors to protect you from weather and debris. Front and back center console.